I have been participating the Cook for Family event since it was initiated by Daniel of Daniel Food Diary on August 2012. This May I took it a step further by trying to cook dinner during week day and I did managed to cook 9 out of 20 nights, but I am really satisfied with myself. Here is a collage of the dishes and meals I whipped up that time. It looked difficult but its actually manageable when you figured out the food preparation and cooking time required for each ingredient. 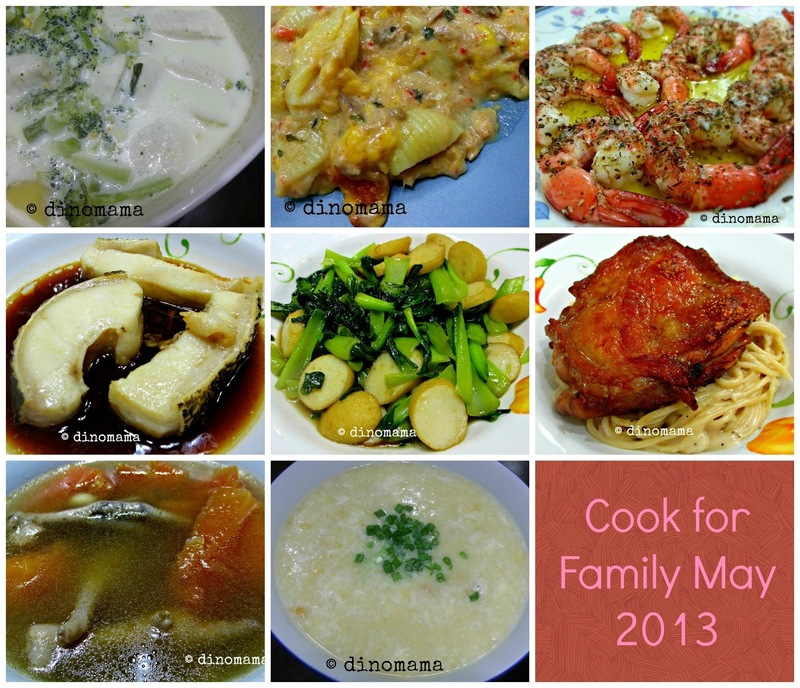 So now, I am challenging myself again to try to cook dinner for 2 weeks, that means 10 dinners, starting from 02 September 2013 till 13 September 2013. I hope I will be able to complete this challenge but I am not going to pressurize myself so I will do the best I can. Any one else wants to join me? Thanks for dropping by Kebba~ I've commented in your Mac n Cheese post =) Hope to see you around more often.